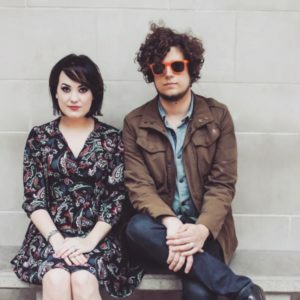 The Tulsa, OK-based duo, Desi and Cody, describe their second album, “Yes This Is Killing Us,” as a “dark comedy.” United both through music and matrimony, their latest collaboration, to be released in June 2018, exposes the perils and triumphs of relationships. Desi’s seductive voice combined with Cody’s emotive vocals and sweet harmonies, sonically manifest a refreshing homage to classic 60’s femme fatales with chamber pop and baroque textures which transform their Okie roots into the realm of futuristic folk. Their EPs, Cody’s “Dog Days Comin’” and Desi’s “In the Dead of Summer,” received positive response, and were followed by their full-length debut, “Desi and Cody,” launched in 2015 to significant, critical-acclaim. “No Depression” called it “superb” while The Tulsa Voice” lauded: “there’s no higher praise an album could receive.” Desi and Cody’s music possesses an inherent irreverence reminiscent of Lynch or Tarantino movies. They filmed a video for their evocative, sultry version of “Wicked Game,” combining eye-catching images and mischievous on-the- road antics of the band in the boondocks to the seediness of Hollywood.